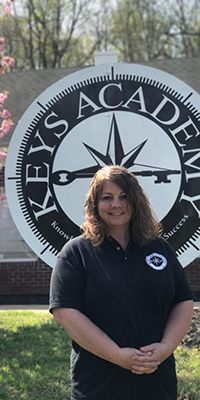 KEYS Academy Charlottesville is a Private Day School licensed by the Virginia Department of Education to serve Special Education students in grades K through 12. We are located at 3020 Fontaine Ave Extended, Charlottesville, VA 22903. Our Phone number is 434-995-5810. If you need to reach us by fax, our fax number is 434-995-5768. If you would like to contact us, please click here. 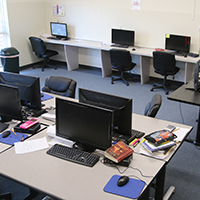 As we wrap up our third quarter of the school year, the students are showing wonderful direction and focus as they work hard to finish up 3rd quarter assignments and assessments. Our teachers and para-professionals have also been working diligently on writing prompts with our middle school students who will soon be taking the Writing SOL before this quarter is complete. As we continue into the 4th quarter, students in 3rd-11th grades will continue in their preparations to take their non-writing Spring SOL’s that will be given in May (more information will be sent home about when to expect these tests). We have expanded our work on the concept of “Power of the Group”. The students have embraced this skill through multiple student lead group discussions that are both engaging and age appropriate. They have also been showing great leadership skills by encouraging one another and lending a helping hand to those in need. We will continue to work on these skills during our daily instruction and interactions with one another. Below are some important dates to remember as we finish this quarter and head into our 4th and final quarter of the year. On December 2017, KEYS Academy-Charlottesville received word that they have been granted accreditation status through VAISEF, Virginia Association of Independent Special Education Facilities. This is a 5 year accreditation period. KEYS Academy-Charlottesville is also licensed through the VDOE. Congratulations, staff, on a job well done!